If your pet is not responding to treatment as expected or requires advanced diagnostic procedures, such as endoscopy, bronchoscopy, colonoscopy, lung washes, bone marrow aspiration, or biopsy, we can help. VRC’s internal medicine specialist works closely with referring veterinarians seeking diagnosis, second opinions, and/or management of acute and chronic diseases, including those of the kidney, liver, lungs, bladder, GI tract, and endocrine system. 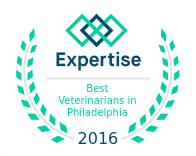 Our internist also consults with other specialists within our practice including surgeons, oncologists, and emergency care veterinarians. To read answers to our most frequently asked questions regarding internal medicine at VRC, click HERE.